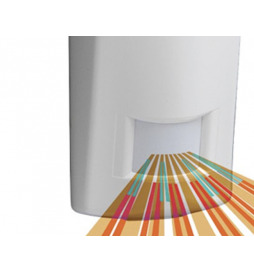 Wireless antitheft system with integrated PIR sensor, LED display and high volume siren. Voice feedbacks for checking the status of the system. 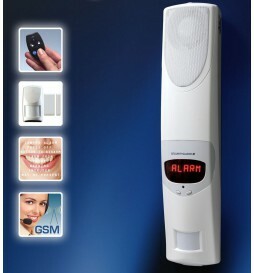 GSM dialer for sending and receiving SMS. Additional remote controllers (2 remote controllers included within the package - see model 101-404). The expandability of this system makes it the ideal alarm system for any type of application, from the private home to the company. The battery is not included within the package, but it is sold separately (see Rechargeable battery for SG3).